This CrockPot Turkey Soup with Collards and Sweet Potatoes is the perfect way to use up holiday leftovers. After days of turkey sandwiches, I was desperate for something different. I decided to try a soup in my CrockPot because pretty much everything that comes out of my CrockPot is so delicious, I figured I couldn’t’ go wrong. Basically, you can make this soup using leftover turkey, chicken or even honey baked ham! I always use the CrockPot we got for our wedding – you can find it here (affiliate link). It’s great because once the time runs out, it just switches over to warm. (It’s also perfect for warming hot cider for cold days!). 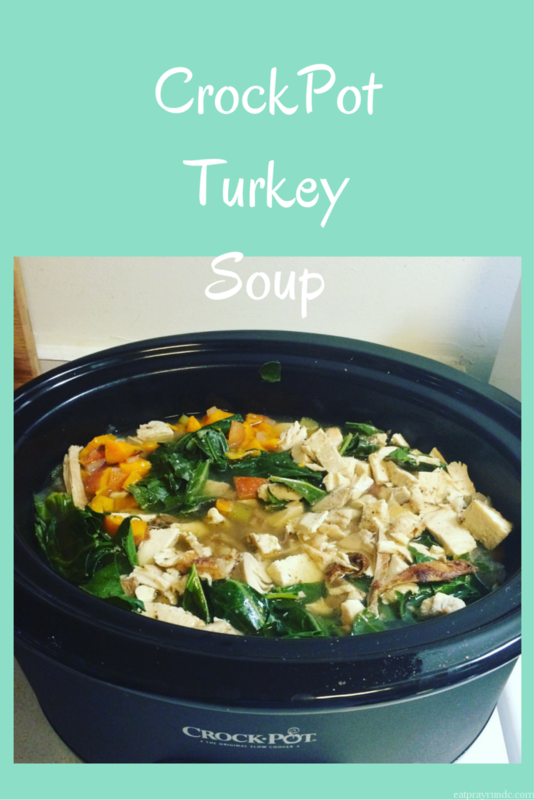 A tasty crockpot soup using leftover Thanksgiving turkey! 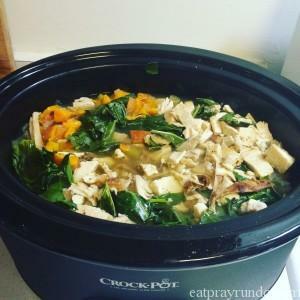 This CrockPot Turkey Soup with Collards and Sweet Potatoes is easily customizable, highly delicious and very little work. It’s really set it and forget it and honestly, even after the recipe yielded a bit more than I expected, we’re still really really enjoying this! What do you do with leftover turkey, chicken or ham that you have post holiday? Any creative sandwich ideas? This looks so good! 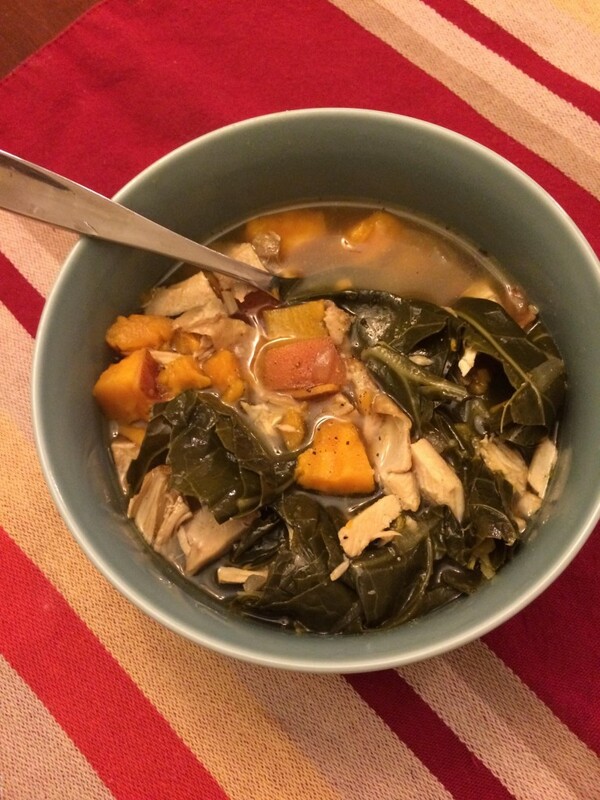 I love the idea if incorporating collard greens into a soup recipe. It was because we had gotten collards from our CSA that week 🙂 But super yumny! This sounds delish! I froze our leftover turkey and have been thinking of ways to use it. I was putting it on salads topped with pomegranate seeds, which was yummy, but got old after a while. I really like using my crockpot because it’s do simple and easy. This looks like a awesome recipe to try! So not do. Ah autocorrect!